The four motors powering the SLS Electric Drive deliver thrust to all four wheels. That’s a good thing, since the powertrain serves up a mind-blowing 737 lb.-ft. of torque. 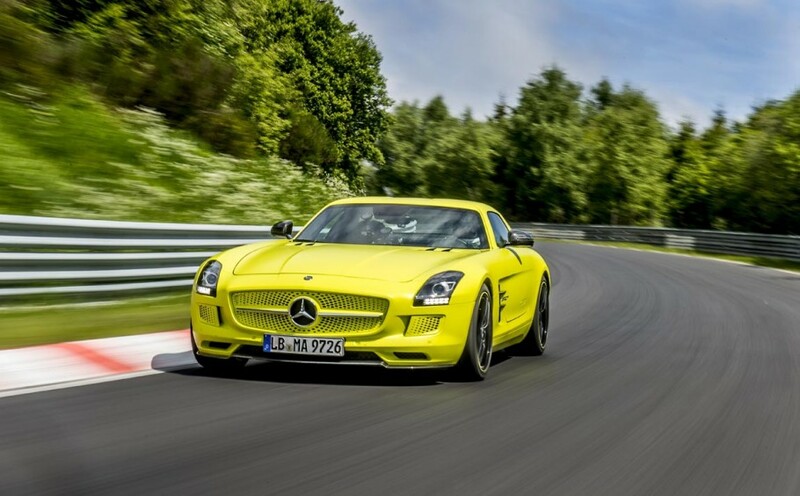 Mercedes-Benz estimates the SLS Electric Drive needs less than 4.0 seconds to accelerate from 0 to 60 mph. Top speed is electronically-limited to 155 mph. 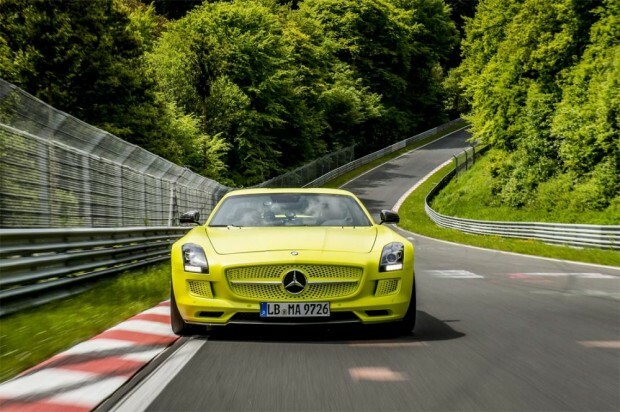 In addition to its brute force, the Mercedes SLS AMG Electric Drive also features a unique carbon fiber structure built around its battery system that helps improve overall stiffness and dynamics. Then there are the racing-style pushrod shocks and carbon ceramic brakes to harp on about, but the aspect that draws the most attention is the sophisticated torque vectoring system of the car developed using Formula One technology.